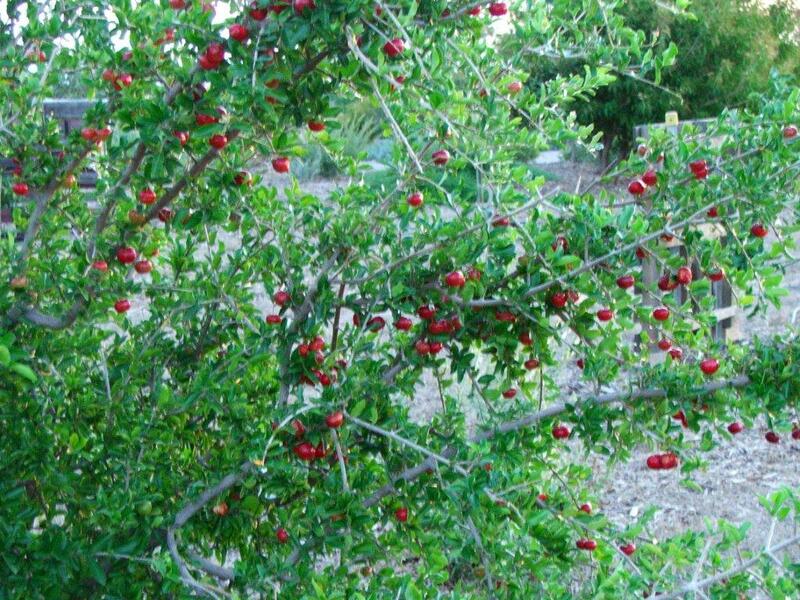 This bright red cherry-like fruit has varying tastes during different stages in maturity. 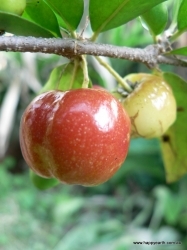 When fully ripe the fruit is juicy and aromatic with its acid content giving it a sweet acid apple-like flavour. 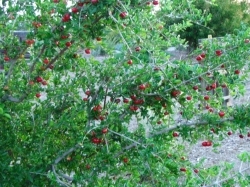 The tree can produce a number or crops each year, making for quite a long harvest season. 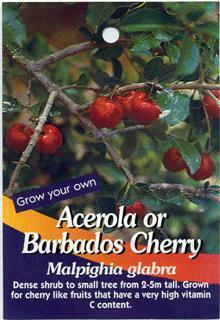 Our selection we grow is called the acerola Florida Sweet Cherry and is a pleasant eating variety that is not too sour. 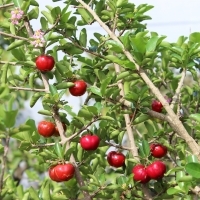 The most notable feature of Acerola Cherry is its very high Vitamin C content, once grown commercially just for its Vitamin C. The acerola is well suited to pot culture where it can be kept to a smaller size, it could also be grown this way in cooler climates where it can be moved to a warmer position in the winter. 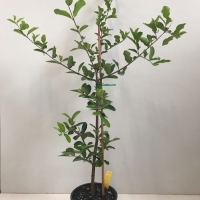 A word of warning the foliage of the plant is covered in minute, irritating stinging hairs that can produce an allergic reaction, so when pruning your trees wear a long sleeved shirt and a pair of gloves. 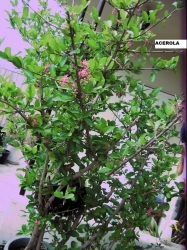 This little tree flowers and fruits non stop through spring, summer and autumn. Lots of fruit! My child loves it and eats some every day. Fruit has to be eaten straight after picking as it does not keep too well. 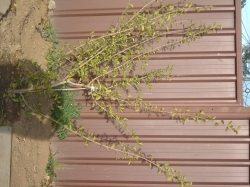 Grows very fast, fruited a few months after planting. We have prunned the tree a little too hard last winter (2011). It is recovering, but slowly. 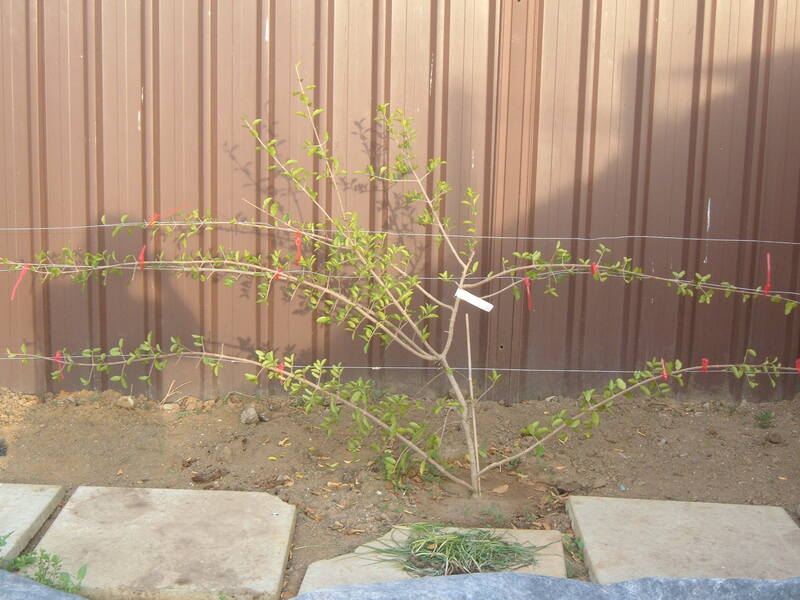 It responds well to prunning, but we just went too far. 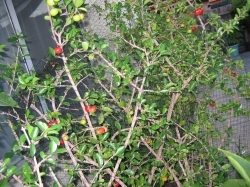 It has some fruit now (March 2012), but not many. 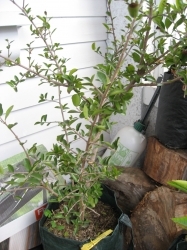 September 2012 - the tree does not look good. We pretty much killed it with the very heavy prunning. Branches are dying one by one. 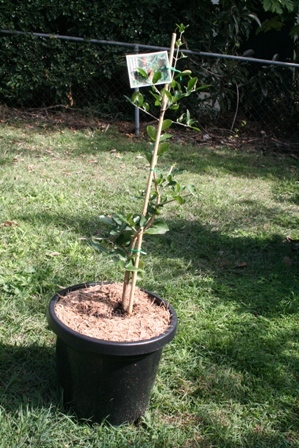 Just bought another plant from Daley's to replace it as we really like the fruit. Produces a profusion of small pink flowers followed by tasty soft red fruit. 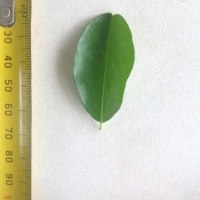 Some leaf loss in late winter, early spring due to cold Sydney winter. 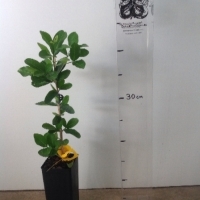 Very shallow rooted, so will benefit from staking to avoid toppling over. Requires good watering in dry spells. Produced a large crop in 2010, but suddenly died, probably due to insuficient watering. 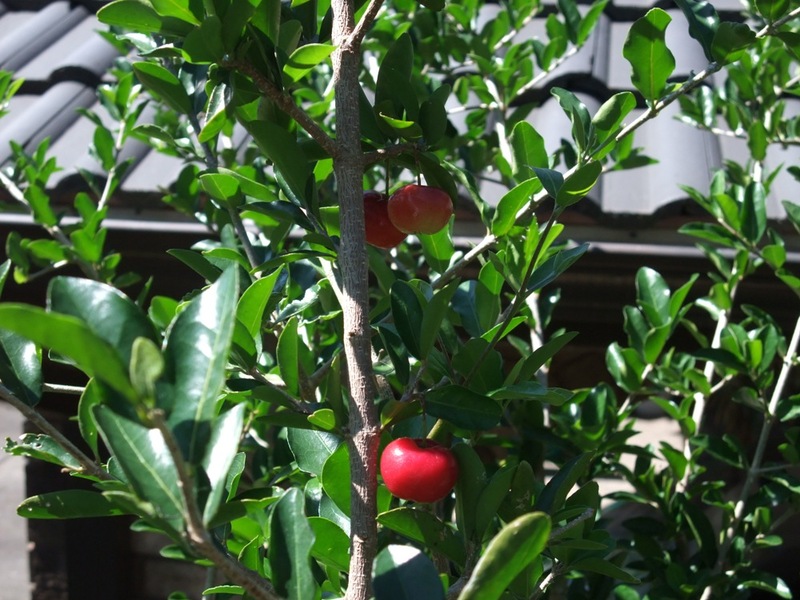 I prefer to call it the Barbados cherry and there's lots of good and some ordinary points about this large shrub. 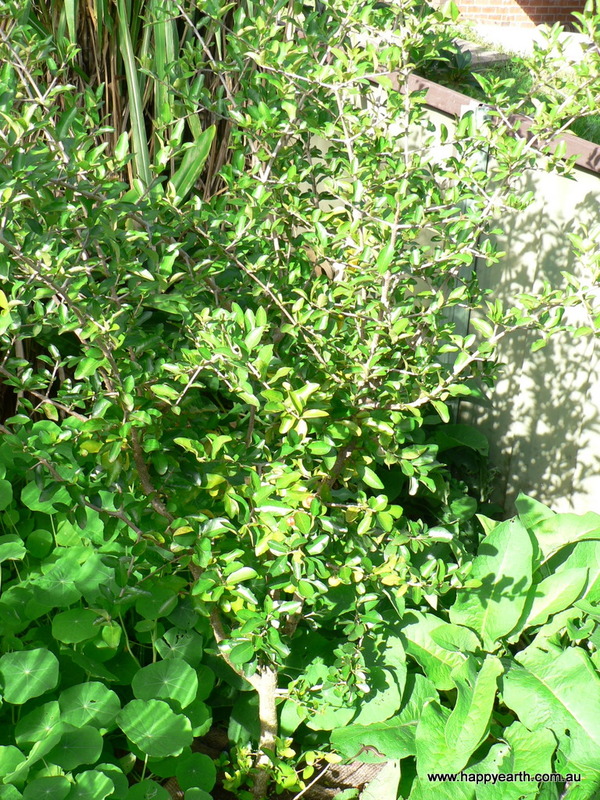 Firstly the ordinary: The plant itself is rather fickle and prone to stem breakage at the base of the shrub which isn't too bad due to it's bushy growth but it can leave the plant vulnerable to disease and may look unsightly until it grows out naturally. 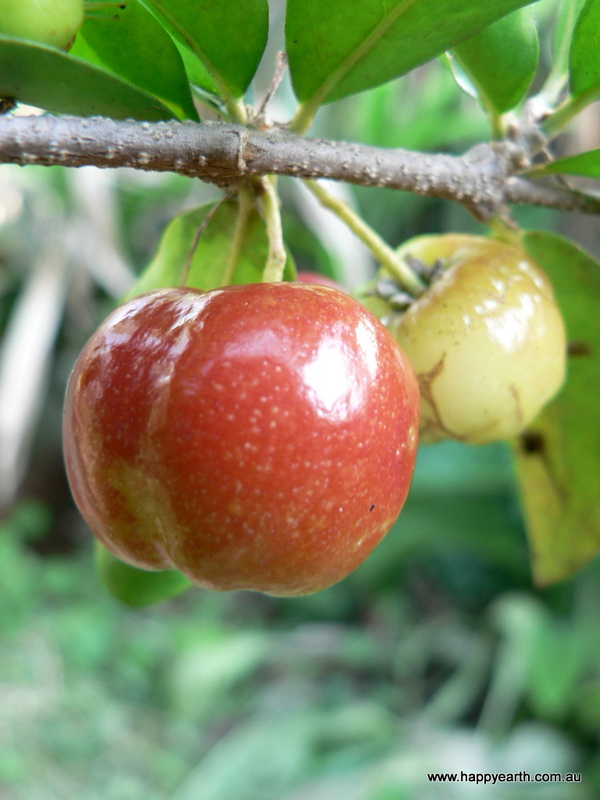 The fruit isn't liked by everyone and some people can't stand the sour taste especially freshly picked. In a fruit fly area it will get stung and whilst the larva may not develop in the fruit it still distorts growth. Our large shrub/tree is showing signs of age at about 5-6 years but I'm not sure how long it lives - pruning does rejuvenate growth a little. Now the good: We love the fruit freshly off the plant and there's usually lots of it with sometimes several flowerings a year. 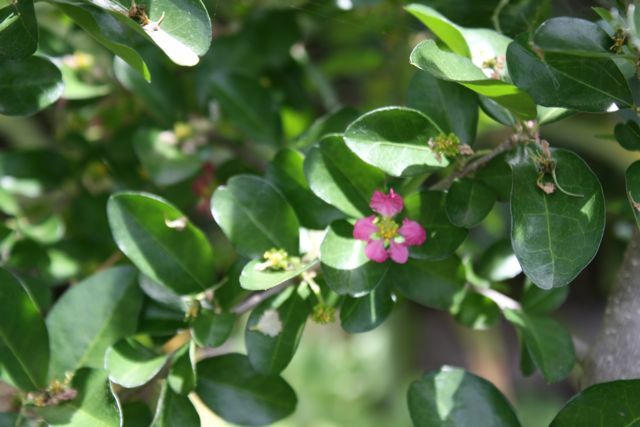 The flowers are small pretty pink things making it a nice addition to a garden or orchard. 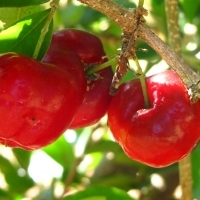 An awesome jam or syrup (especially for ice-cream) can be made by simmering the fruit, straining, and adding a little sugar to taste to make a vibrant red topping - it tastes amazing! 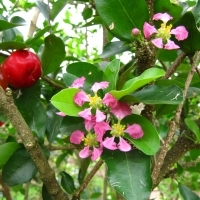 It doesn't seem to be troubled by pests other than fruit fly and we don't lose too much fruit to birds or other animals really. 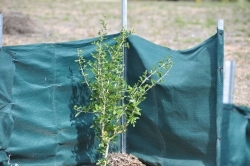 Growth is fast - particularly early on as it establishes which is good because it isn't long before the shrub will be fruiting. 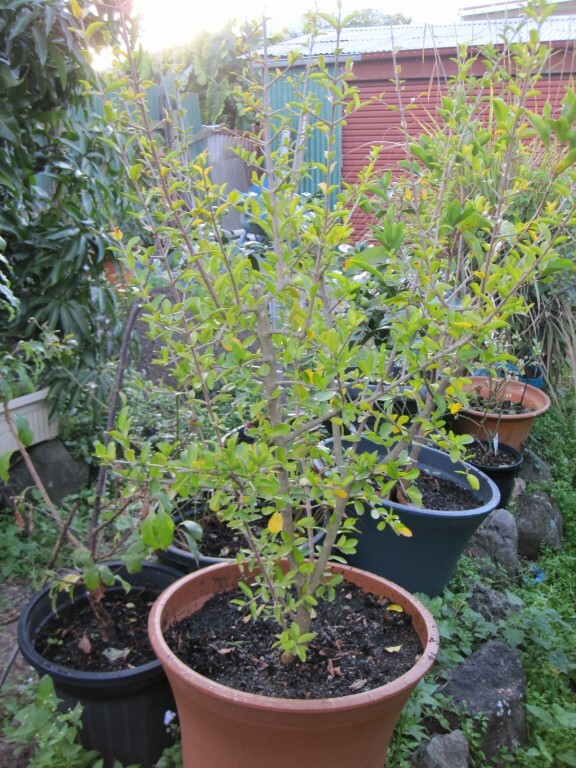 I fertilise with a little citrus fertiliser in spring. 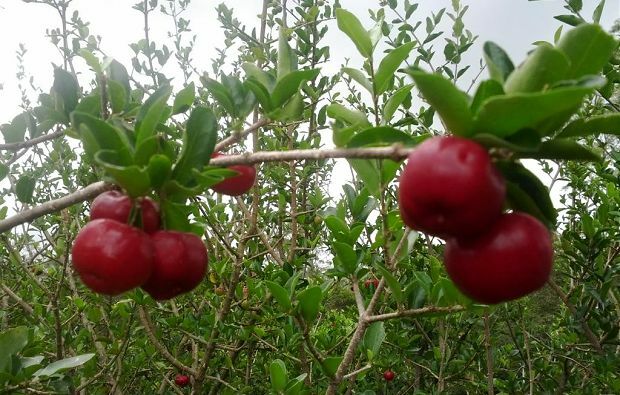 I remember eating these fruits back in Vietnam, the mild sweet/sour taste of the fruit is nothing to rave about, but after finding out that it has one of the highest Vitamin C level compared to any other fruits I had to get hold of at least one plant. 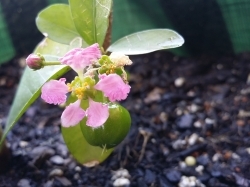 Planted in a 40cm pot. 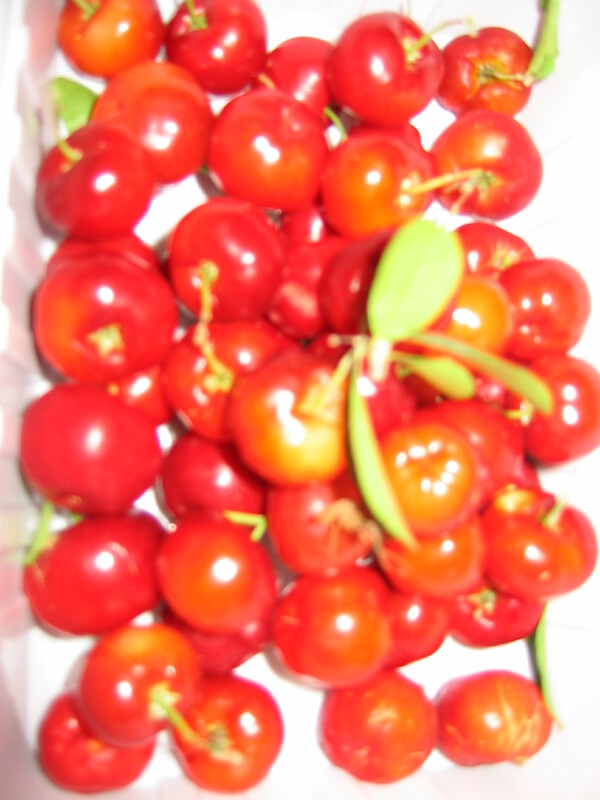 Tropcial cherry. 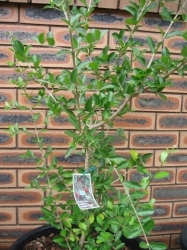 Needed a lot of watering when first planted, always wilting, but I think that is way it is meant to look. It is also attacked by possum. 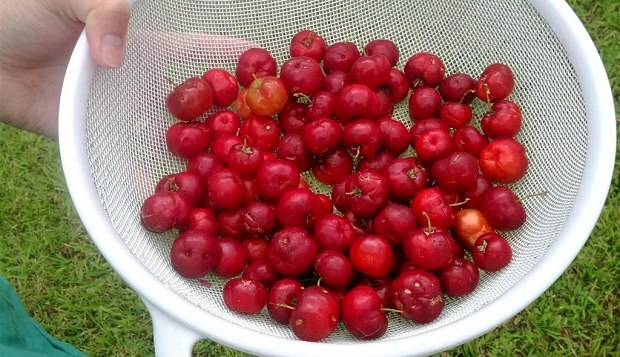 Autumn 2011: I loved the fruit so collected the seed. I am hoping that at least some of them will be fertile. 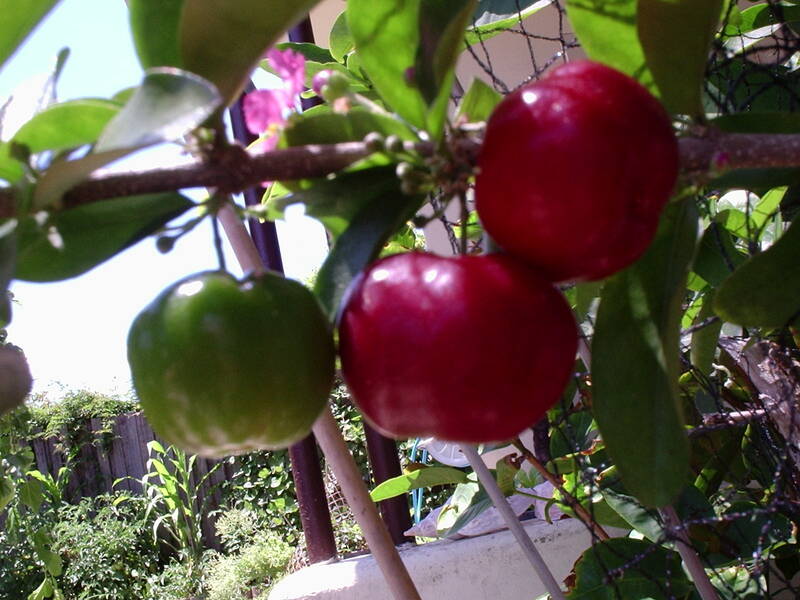 I will be so excited to have my own source of this gorgeous fruit. 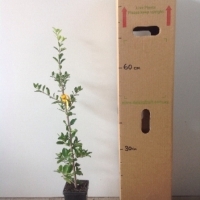 Spring 2011: The seed cases were empty so we didn't get any plants but I was lucky enough to buy one on the weekend! :O) Looking forward to the fruit! 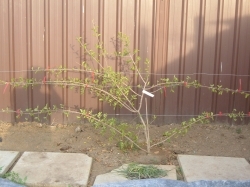 It had hardly any new leaves but there is potential. Summer 2011: Very happy. New leaves everywhere. They are quite a bright green so you have to be careful not to get confused and think that it is malnourished. Had first fruit in February - not really for raw eating. Early days yet. Put on good growth late last summer. 2009 winter its first, will survive but has dropped most leaves. Earwigs love it. We get no frosts so it should be OK. Comments: - Nice fruit but only tasted one so far. It was a sweet sour taste but not overly sour and quite pleasant. 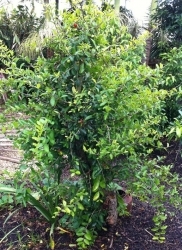 Grows well in tropics but not much fruit yet. 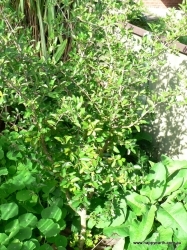 Pretty little bush, so far its been steadily growing. 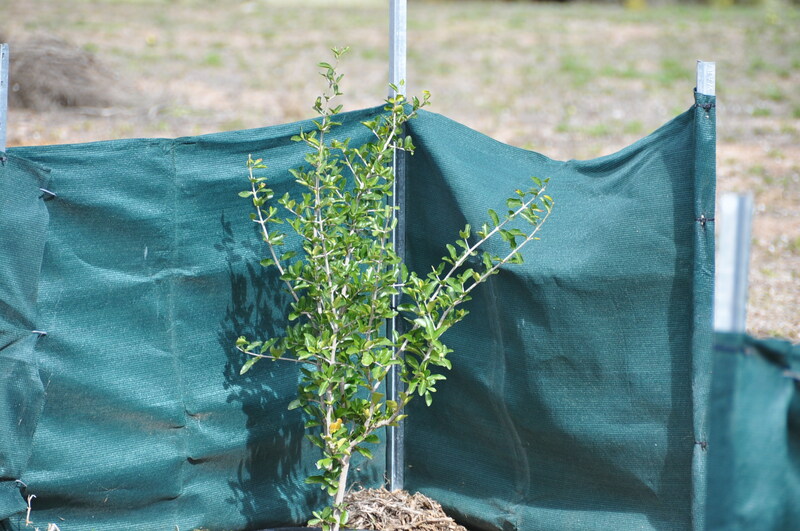 2017 this bush is really healthy and holding its own in the wind and sany soil. 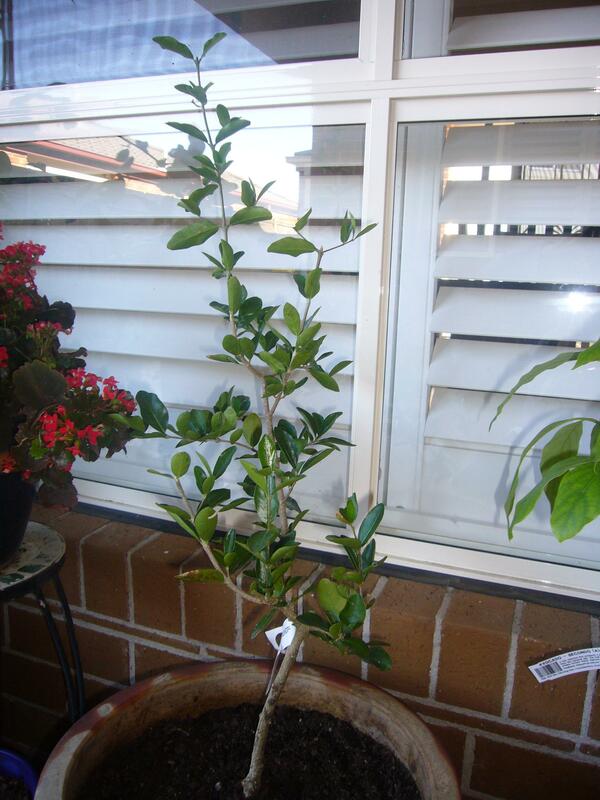 Comments: - This tree is just planted in a pot with cheap potting mix and horse manure. I also give it daily watering and weekly worm castings just as it is getting started. 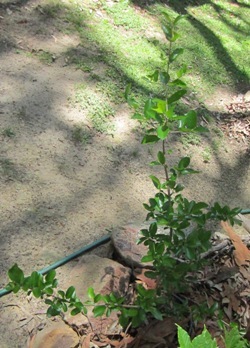 The tree is growing insanely fast, it doesn't seem to mind water. In fact, the more water I give it, the faster it seems to grow! 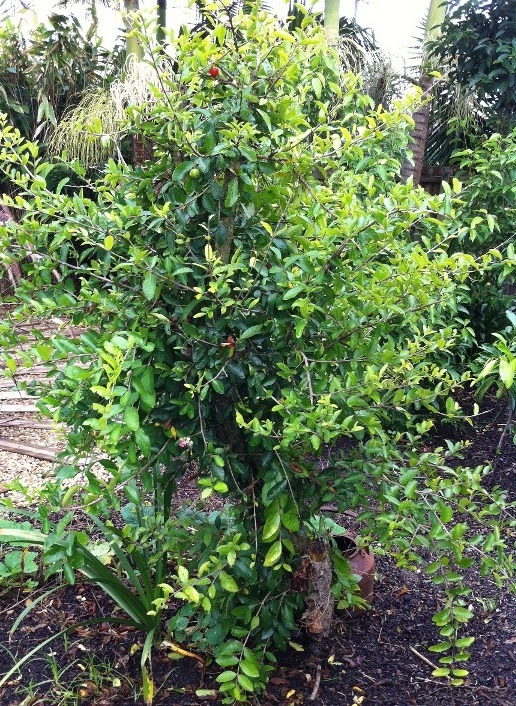 I've tasted the fruit growing at my local botanical gardens. When just red, it is very acidic. 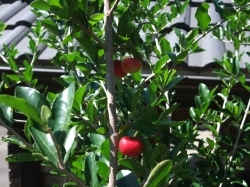 But if you leave the fruits until soft and when they fall off with just a touch, they are very sweet. Although, I actually don't mind them when they are acidic. 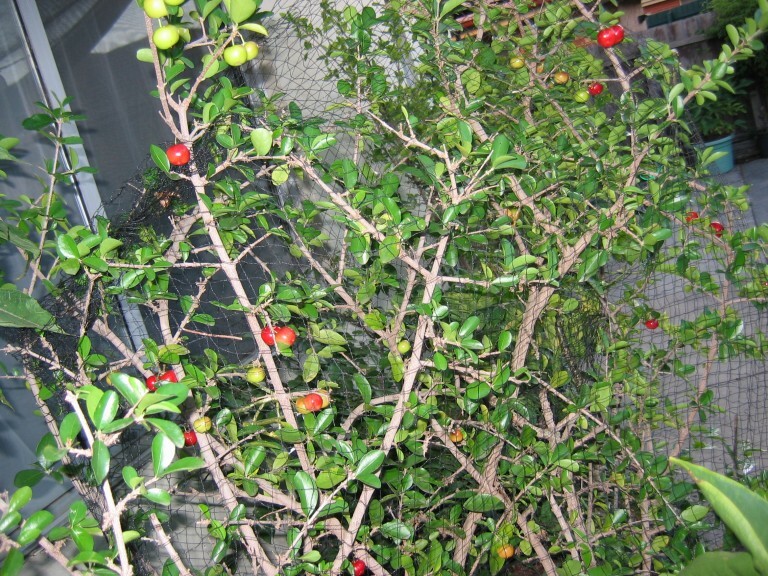 This is an awesome fruit tree, I'd suggest it to anyone who just wants something delicious and just a bit exotic. 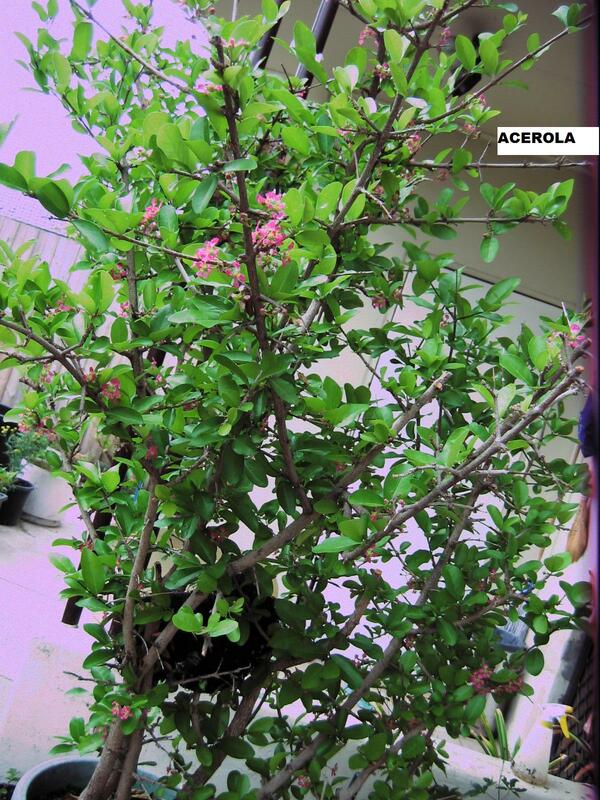 Watch out for the leaves and branches, they can cause skin irritation. 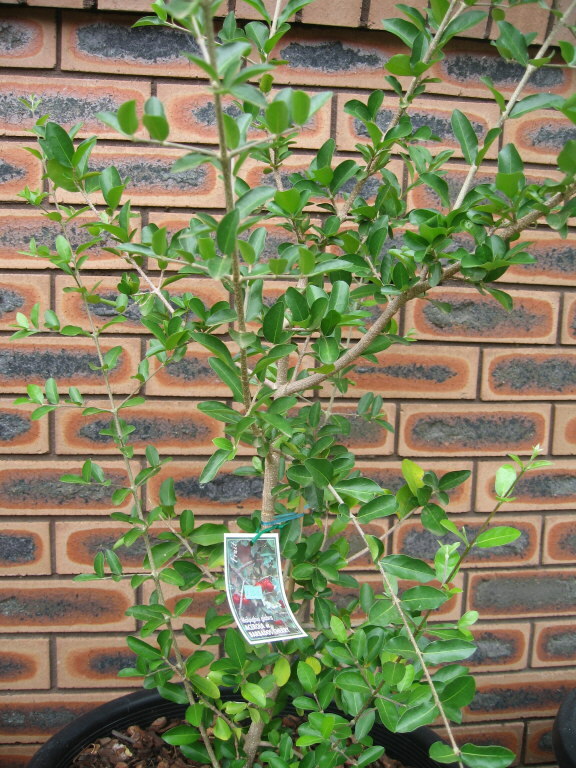 Comments: - Healthy vigorous growth with no pests whatsoever since purchase in January (it has been two months). Had a few flowers which fell off about a month after transplanting. 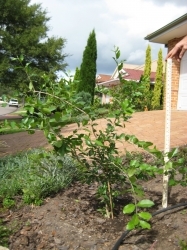 Tip pruned lanky growth to keep plant a bit contained. 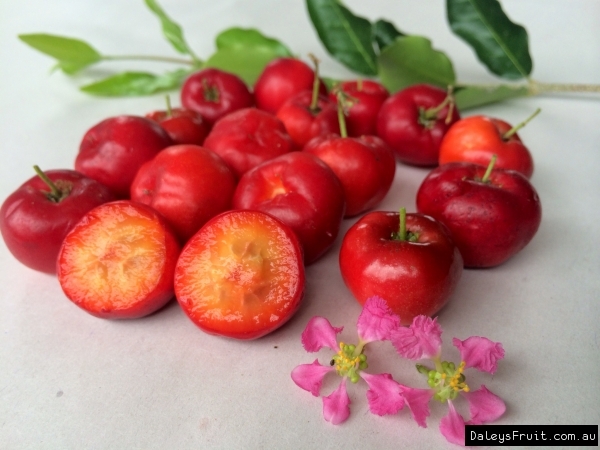 Cherry type fruit , yum , maybe a bit more tart than usual cherry, will wait to see . 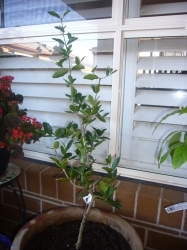 this Daleys plant I bought from Mullumbimby farm co-op . Ready to re-pot up and with one solitary green fruit on it , fell off by the time I got home , but surely will fruit for me soon ..